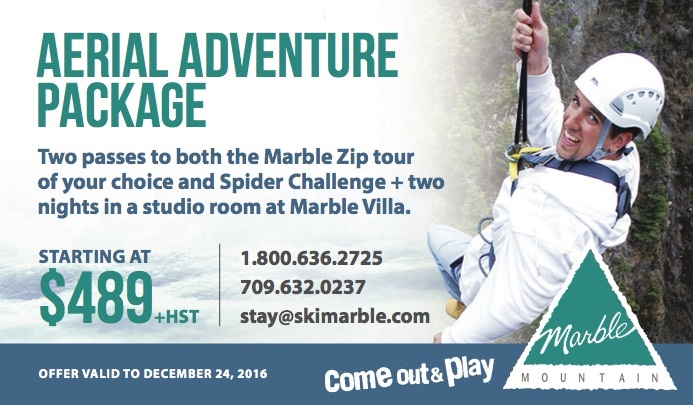 Marble Zip Tours features eastern Canada’s longest, tallest, most exhilarating zip lining rides with unparalleled views of both the Humber Valley and Marble Mountain Resort. Located in Steady Brook, just 12 kilometers outside of Corner Brook–on the western coast of the island of Newfoundland– Marble Zip Tours is an adrenaline-filled zip lining experience that you won’t soon forget! Snowmobile touring is the perfect way to experience Newfoundland’s gorgeous back-country wilderness. While crossing snow-covered land, frozen lakes and rivers, our guides will show you a Newfoundland that can only be experienced, with each trail offering fantastic photo opportunities! 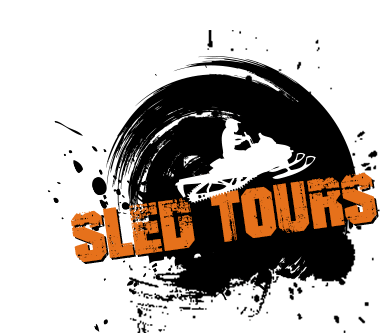 All our snowmobiles are designed for cross-country, as well as mountain riding. 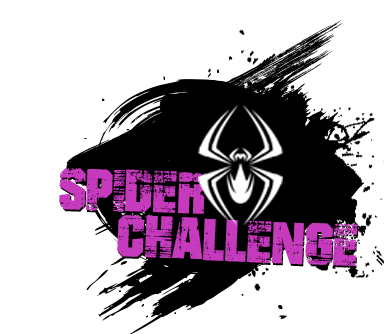 The Spider Challenge is our newest adventure activity and is one of Canada’s premiere high rope courses. It offers adventurers a spider-like challenge with three vertical levels that reach approximately 50 feet in the air! Built from interconnected poles, as you advance through the course, the intensity and effort you’ll need to exert increases. 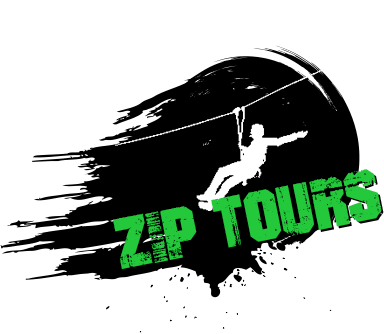 "Zip lining experience like no other in the province offered by Marble Zip Tours." As a premiere adventure destination in Canada, we are constantly striving for excellence in everything we do. 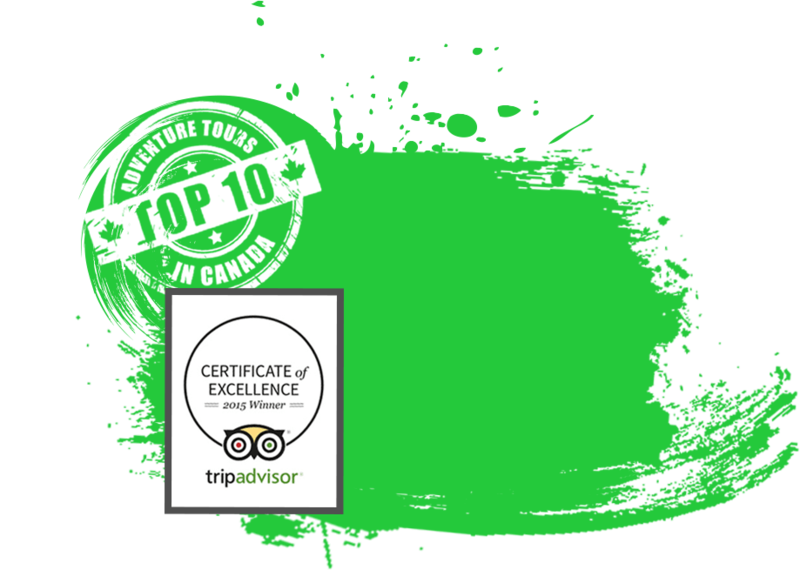 Marble Zip Tours is proud to have been listed as one of the TOP 10 Adventure Tours in Canada by Adventuria! 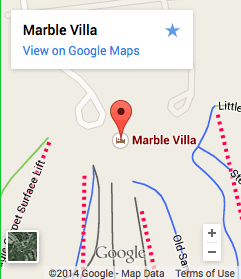 Marble Zip Tours is a remarkable company located in a fascinating area. Newfoundland (also known as the Big Rock) is quite unique compared to the rest of Canada. Click here to learn some more cool facts about us! 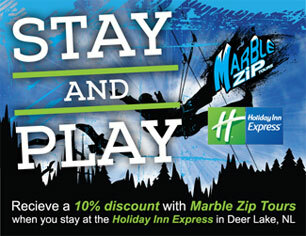 Marble Zip Tours near Marble Mountain Resort is incomparable to any other adventure tour. 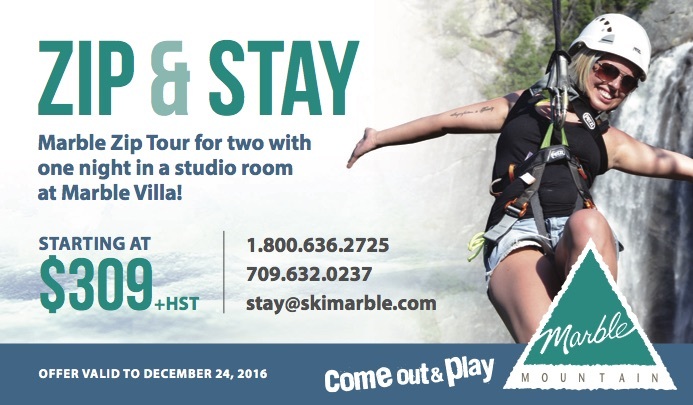 Marble Zip Tours (MZT) is located in Steady Brook, on Newfoundland’s pristine west coast, alongside Marble Mountain Ski Resort, which is nestled at the foothills of the Appalachian Mountains. Soaring 300 feet above the astoundingly beautiful Steady Brook Falls, this zip lining experience will have you on a zigzagging descent down Marble Mountain, Newfoundland, high above the colossal layers of exposed rock, fast moving water and breathtaking forest. The altitude provides a perfect view of the picturesque Marble Mountain Resort as well as the spectacular, but distant Table Land Mountains, which are decorated with snow for most of the year. 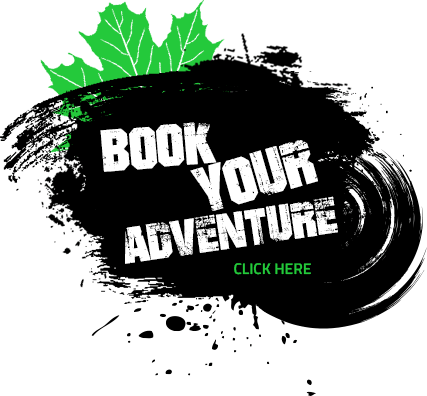 With nine zip lining courses that each offer a unique experience–rain or shine, sleet or snow-MZT promises you North America's premiere zip lining experience, 365 days a year, in a place that’s appropriately referred to as eastern Canada’s mecca for outdoor adventure. 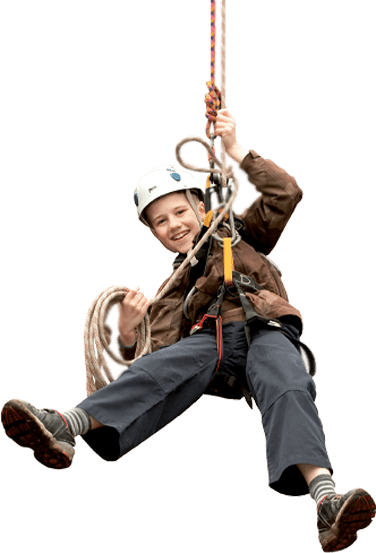 Zip lining is the perfect adventure for the young and the young-at-heart. 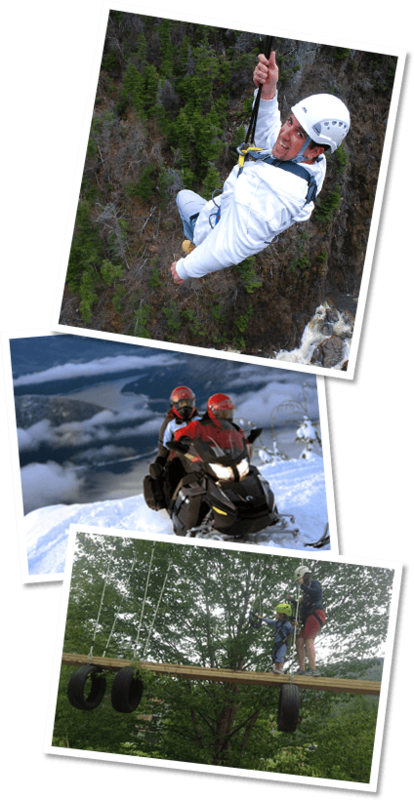 Our clients range from early teens to adventurous, adrenaline-seeking seniors who come to western Newfoundland to experience Marble Mountain Newfoundland and all the unique activities and scenery that the region of the island has to offer. Our professionally trained guides are certified and experienced and will guarantee that your safety is always the first concern while zip lining. Why wait? Call us today to book your reservation–we guarantee an unforgettable experience.